Mobile cone crushing plant and mobile screening plant which are researched and produced independently by Zhengzhou YIFAN already delivered to Solomon and had a successful trial. 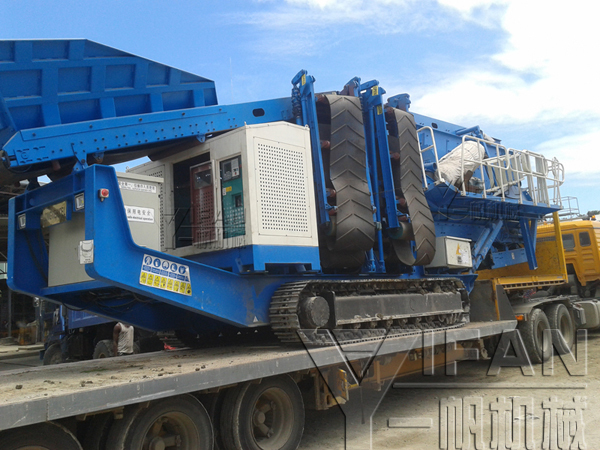 Mobile cone crushing plant is the product that YIFAN independently produced full hydraulic pressure drive tracked vehicle chassis walking mobile crushing and screening equipment in order to meet the demand of the market. YIFAN mobile crushing plant adopt global joint guaranteed Cummins diesel engine which is low fuel consumption, small noise, reliable performance, and provides Reliable, economic, environmental protection of power producer. The engine can retrofit military low temperature preheating start-up device, it makes plants can start up easily in - 25 c ° low-temperature environment. The chassis adopts crawler-type full rigid ship type structure, which is high strength, good throughput capacity, has a good adaptability to mountain or wetland. YIFAN mobile cone crushing plant is equipped with YIFAN SMH series hydraulic cone crusher which is also reaearched and produced independently by YIFAN, this series cone crusher is recently designed hydraulic cone crusher with advanced high power, big crushing ratio, high productivity . SMH hydraulic cone crusher adopts laminating technology principle. It has proved that SMH hydraulic cone crusher has already achieved the world class technological level. 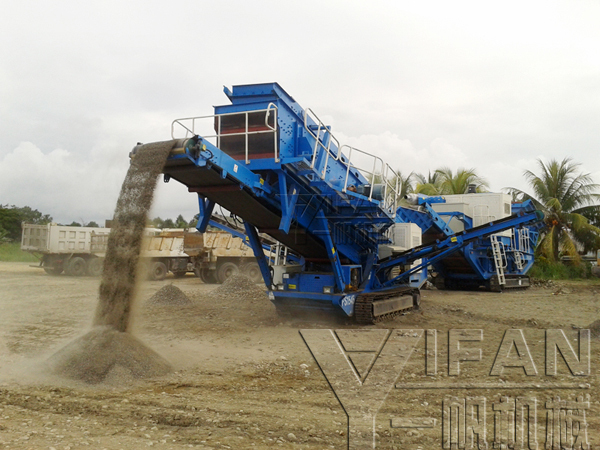 YIFAN mobile cone crushing plant and mobile screening palnt have the features of high performance, high reliability, aesthetic appearance, and achieving international level. They are widely used in the crushing and screening of road and bridge construction, urban architecture, metallurgy, energy sources and so on.